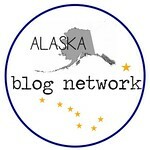 I'm Michelle--originally from Minnesota, now residing in Anchorage, Alaska. I started running when I was 10 years old and haven't stopped since. Besides being obsessed with running, I enjoy spending time with my husband (Craig), traveling, and being a foodie.